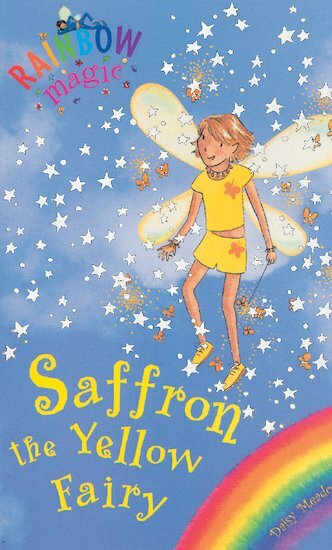 I loved saffron the yellow fairy it was so cute with the bee. it was a very good book. Great, yellow I have never been fond of till I read this amazing book. I love the bee Queenie because it is really cute.Really Good! Great book. Love Rainbow Magic. oh, i would recommend this book but when u keep readin rainbow magic books, u get a bit bored! Saffron is in a beehive where every bee likes her. She needs to get back to her sisters. How can she do that if the goblins have her wand? Her best friend Queenie saves her wand, but Queenie hurt herself as well. Will Saffron’s sisters be able to help? Or will Queenie have to spend the rest of her life injured????? it’s brill, i loved reading it.